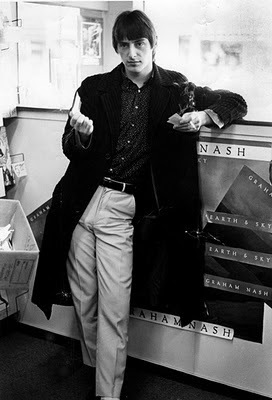 You don't get to be called the Modfather unless you've had a huge impact on the mod scene. 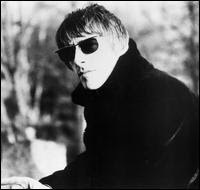 No one has had a bigger impact on mods in the last 30 years than Paul Weller. In the mid-70s he fronted The Jam and launched the mod revival. In the 80s he moved forward by melding soul, jazz and new wave with The Style Council. And in the 90s, he reestablished himself as a leading figure in British music by ushering in the first wave of Britpop and acting as a mentor to bands like Oasis, Blur and Ocean Color Scene. 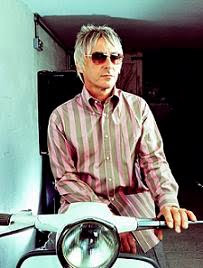 His solo work really took off with his second solo album Wildwood, and has had it's ups and downs as Weller mined the sounds of the past with each new release. His influences flowed from the heavy sound of Traffic and Humble Pie to the melodic psychadelia of Cream and as always the northern soul sound. At times he even took inspiration from more modern bands of the Britpop scene and produced a number of indie rock type tracks, and has worked with Graham Coxon, Noel Gallagher, Steve Craddock, Andy Lewis, Amy Winehouse and a number of other contemporary artists. In addition to the music, he made himself a fashion icon. Like Madonna, he changed his looks often when he was with The Jam and The Style Council, taking retro sixties styles and reinventing them with modern flourishes. As an elder statesmen of rock he has settled on a mature, distinguished, very sixties styled look that suits him perfectly. Here are three of his solo tracks, the first off of his debut self-titled disk "Round and Round" which could have fit into a number of The Style Council's albums. The second comes from Stanley Road, "Broken Stones", is a soulful number finding Weller getting back to his roots in many ways. The last is from his 2005 release As Is Now and is an upbeat floorshakin' rock and soul number, "Blink and You'll Miss it".